D&D Technologies is a company dedicated to the design and manufacture of top-quality, state-of the-art gate hardware products. D&D gained international recognition with the ground-breaking MagnaLatch magnetic latch for pool and other child safety gates, winning several prestigious design awards. AutoGate is a family owned business founded in 1986. With a reputation for quality, we are the leading manufacturer of Vertical Pivot Gate systems. In addition to the first UL 325 compliant vertical pivot gate operator, we offer a full line of reversing/safety, accessory and access control devices. Tymetal Corp. is the leading U.S. security gate manufacturer, providing Commercial/Industrial and Correctional security gates & operator systems and closing openings from 4′ to 500′ with thousands of installations all over the United States. 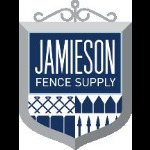 Master Wire Manufacturing & Fence Co.
Allied Fence & Security Systems, Inc.
Valley Construction & Fencing, Inc.